The Bulgarian Naval Forces are taking part with 16 combat and auxiliary ships and cutters, 2 helicopters and staff of 930 members. Two aircraft of the Bulgarian Air Force and representatives of the Land Forces are also involved in the exercise. The total number of the countries participating in the exercise is 11 with 25 combat and auxiliary ships and cutters, 1 submarine, 4 aircraft, 5 helicopters and 2,340 service members from the navies of Bulgaria, Belgium, Greece, Germany, Italy, Poland, Romania, the USA, Turkey, France, the Netherlands, the Standing NATO Maritime Group 2 and the Standing Maritime Mine Countermeasure Group 2 of the NATO Response Force, as well as 124 representatives of 20 state organizations, institutions and authorities from 4 ministries, local management bodies, non-governmental and private organizations. 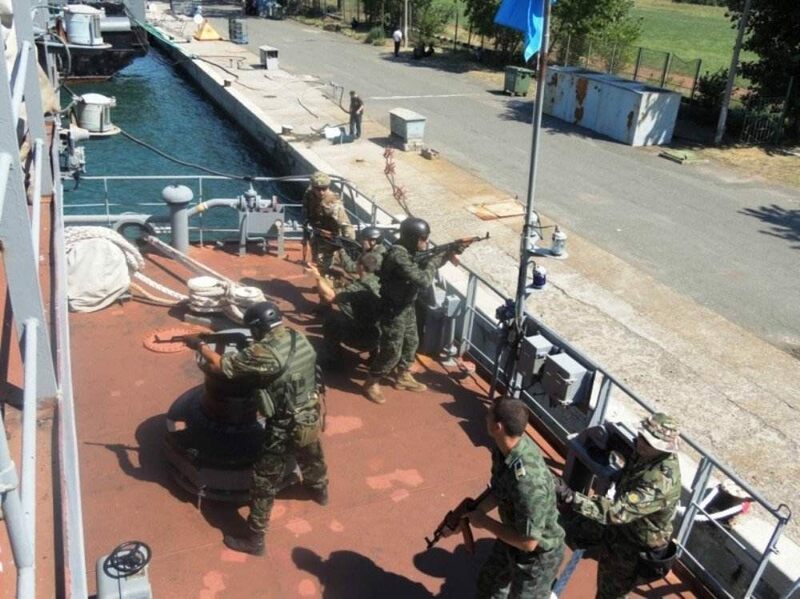 The main goal of the training is enhancement of the interoperability and interaction between the naval forces of the countries participating in the exercise through elaborating their participation in an operation for sea security in response to a crisis, as well certification of a ship of the Bulgarian Navy – the frigate “Verni” in accordance with the NATO Maritime Evaluation Programme – MAREVAL. The exercise BREEZE 2018 has been planned and is being led by the Commander of the Naval Forces Rear Admiral Mitko Petev. The officer, conducting the exercise and director of the exercise is the Naval Admiral Georgi Penev – deputy commander of the Naval Forces. The commander of the multinational ship operational unit is the Naval Admiral Malen Chubenkov – commander of the fleet of combat and auxiliary ships. A very interesting and important day is coming. 19th July is announced to be a VIP day of the national naval exercise with international participation BREEZE 2018. From on-board of the Verni frigate, the guests and media representatives will have the chance to follow various episodes from the exercise at sea and on the beach.